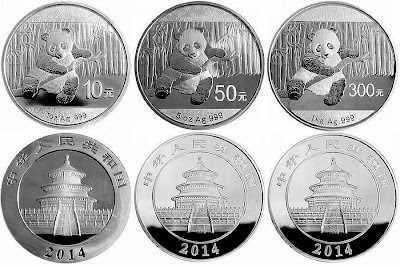 China first introduced the Silver Panda coin series in 1983, and every year since, a new variation of the Panda series has been introduced. 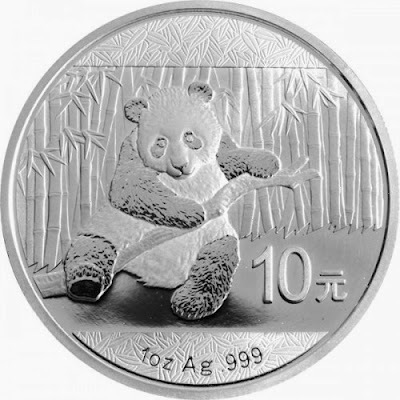 Shown on the the reverse of the 2014 Chinese Panda silver coins is a Panda grappling with a tree brnch. Incorporated into the design is the face value of the strike with the coin's weight and fineness shown beneath. On the obverse of each coin, the Hall of Prayer for Good Harvests (The Temple of Heaven) of Beijing is depicted. 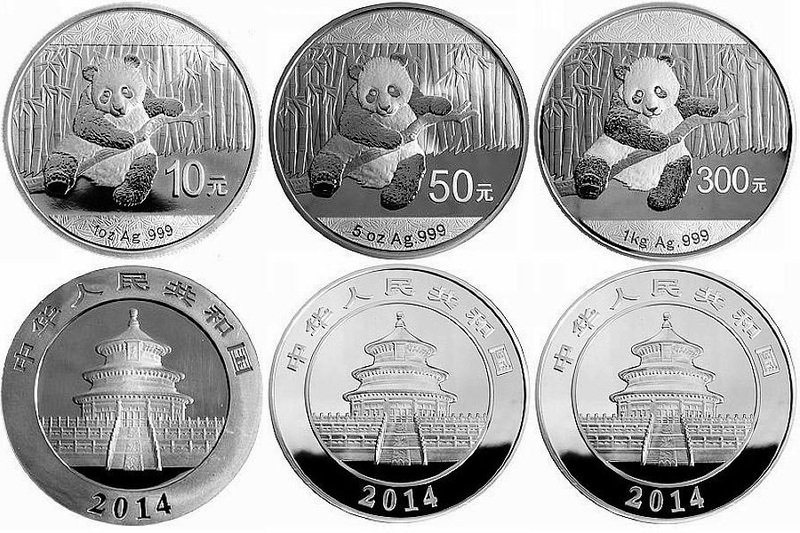 Obverse inscriptions include the Chinese characters for People's Republic of China and the year. 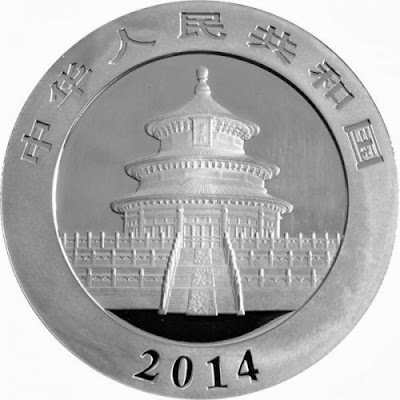 The 1 oz coin has a nominal face value of 10 yuan, and has a silver purity of .999. Each coin is 40 millimeters in diameter, and a weight of 31.1 grams.